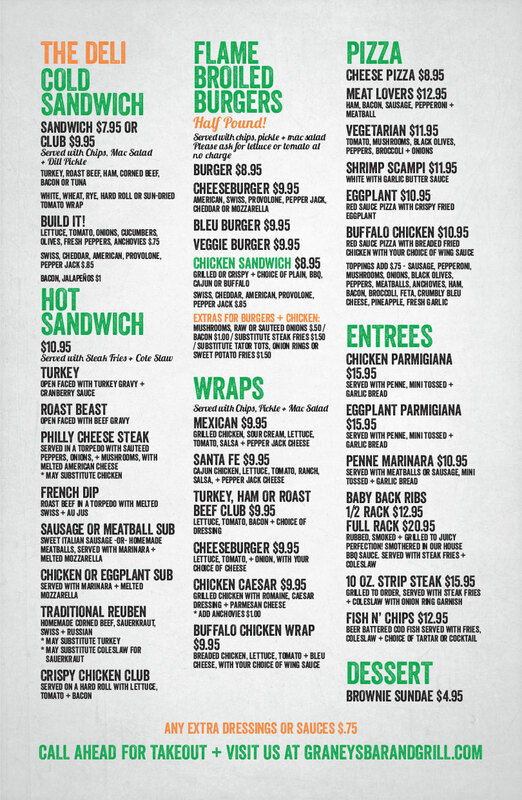 Skip the hassle of cooking at home, let our kitchen take care of you. Our Kitchen cooks up some of the best food in town. 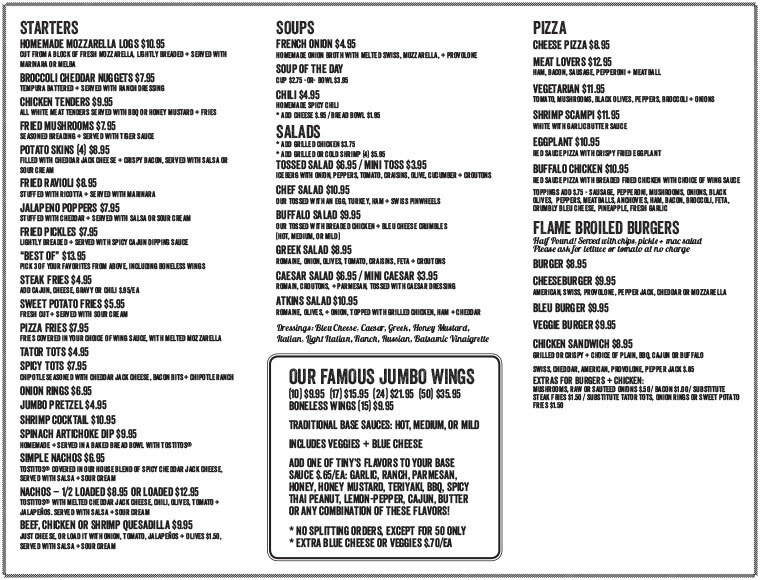 No matter what you're craving, we have a dish for you. 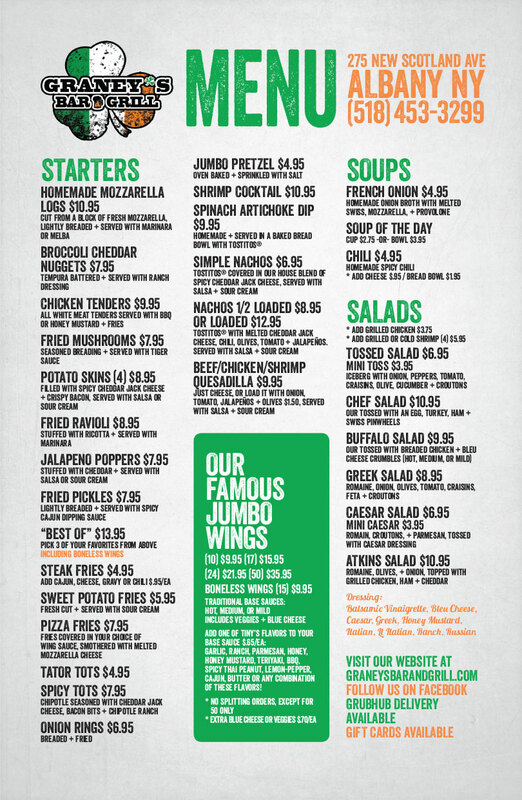 If you're looking for pub favorites how about our Famous Chicken Wings or Fried Pickles. Maybe something heavier like a slab of Baby Back Ribs, Fish and Chips or Chicken Parmigiana. 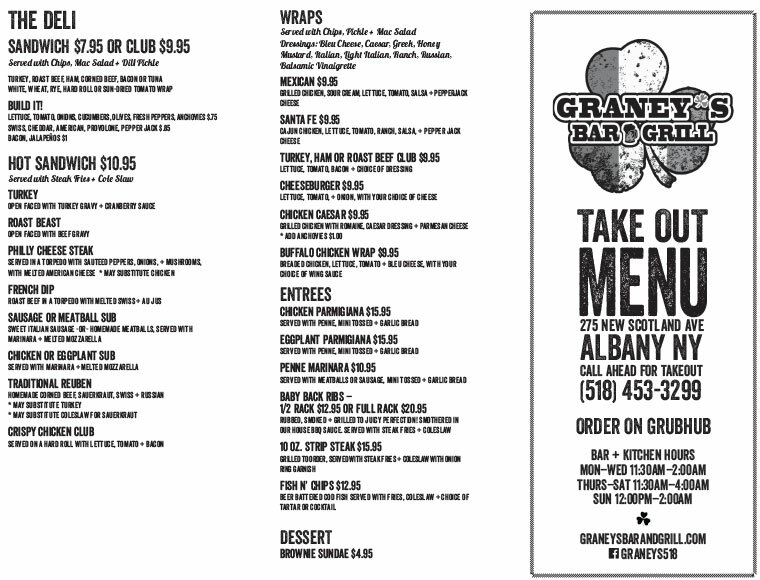 If you're in need of a light snack or a full meal, Graney's Bar & Grill has it available.